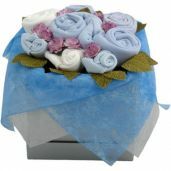 A collection of quality baby clothes presented in a contemporary style in a silver keepsake box. 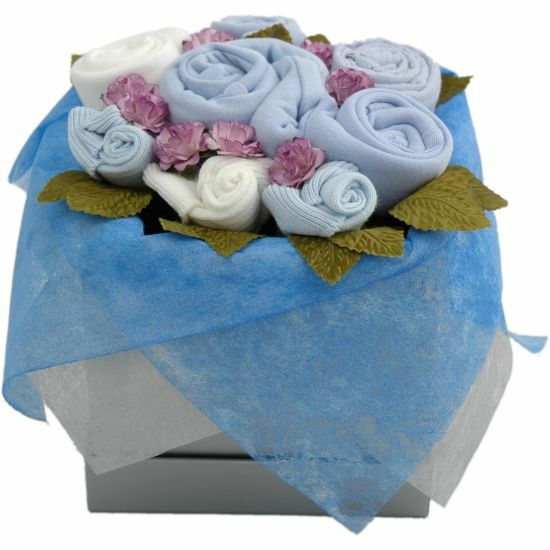 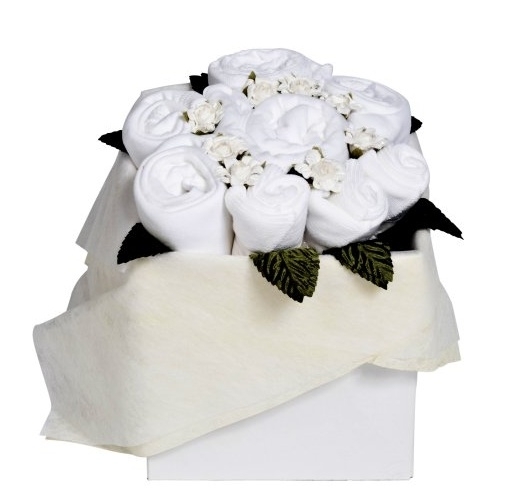 This baby grow bouquet consists of 3 pairs of the softest socks, 2 baby body suits, 1 baby long sleeved sleep suit, 1 muslin square (for baby burps) and 1 super absorbent bib. 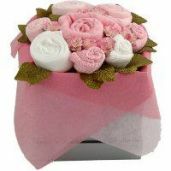 All presented as a bouquet of flowers to the new parents. 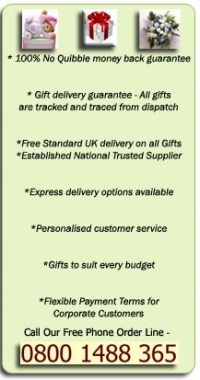 Press and Awards The Blossom Box was awarded Highly Commended at Gift of the Year Awards 2006 and has been featured on ITV This Morning.